Thx for all your work! 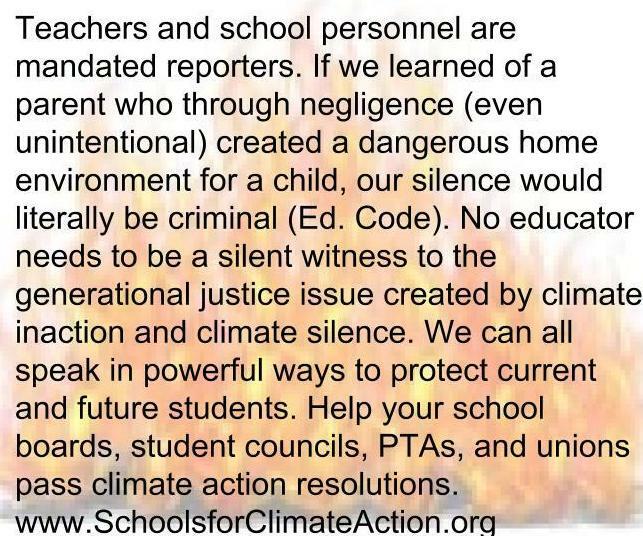 As CA burns, plz help spread the word abt http://www.schoolsforclimateaction.org . 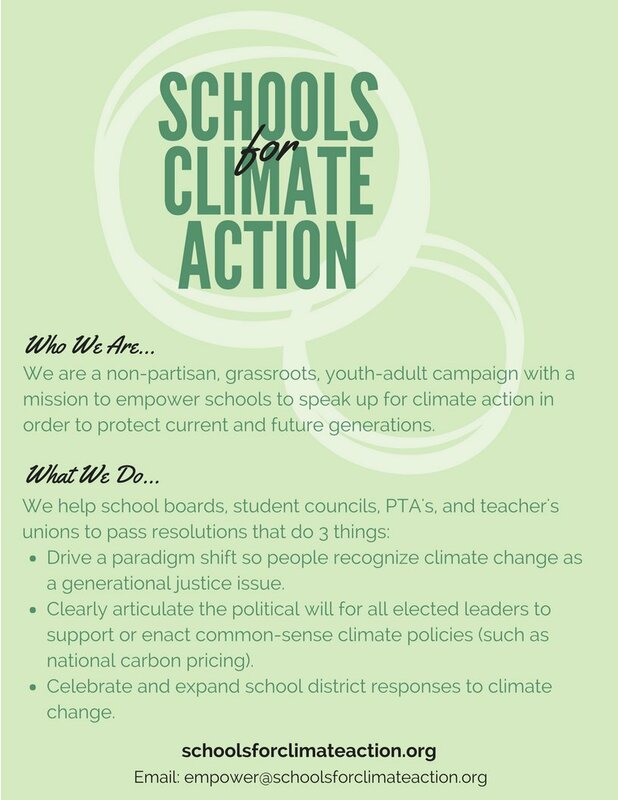 23 school boards have passed climate action resolutions. 1000s more school boards, student councils, PTAs, and unions could join. Webinar: http://goo.gl/EJmUAv Thx! 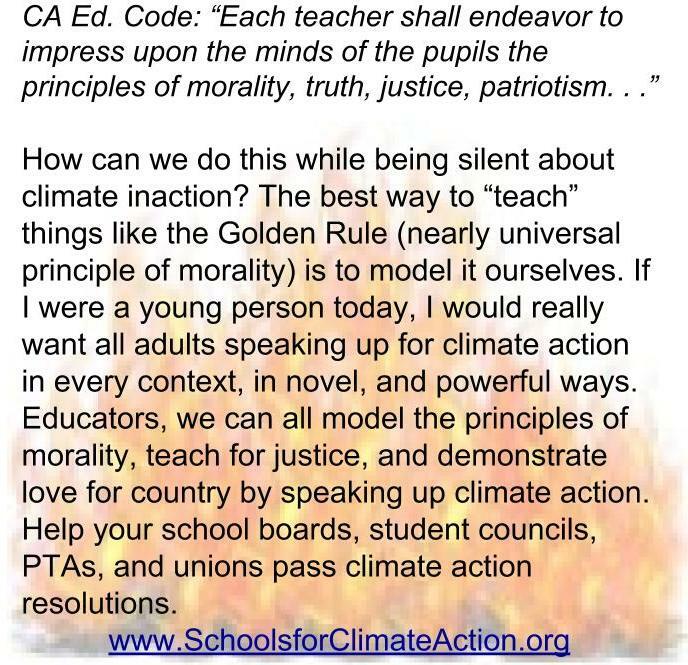 It’s been my opinion since about the year 2000 that education will be the biggest key to solve the climate crisis not only in this country but elsewhere around the planet. Millennials and post Millennials who are just now coming of age that were born around the turn of the century have the future in their hands. 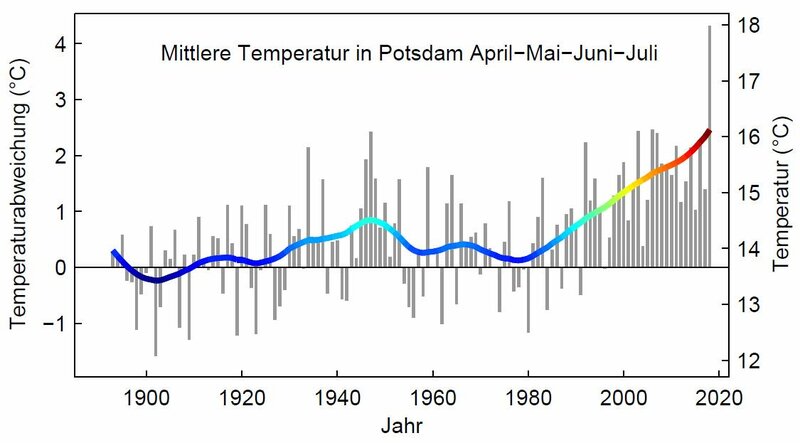 In turn they will be educating their kids on how to both politically mitigate and adapt to a rapidly changing and warming climate as the years roll by this century. SchoolsforClimateAction.org is one educational group that must grow and flourish for civilization to survive. Il fera encore +chaud ces 3 et 4/08. P.S. I’m beginning to learn some French looking at all of Etienne’s messages. 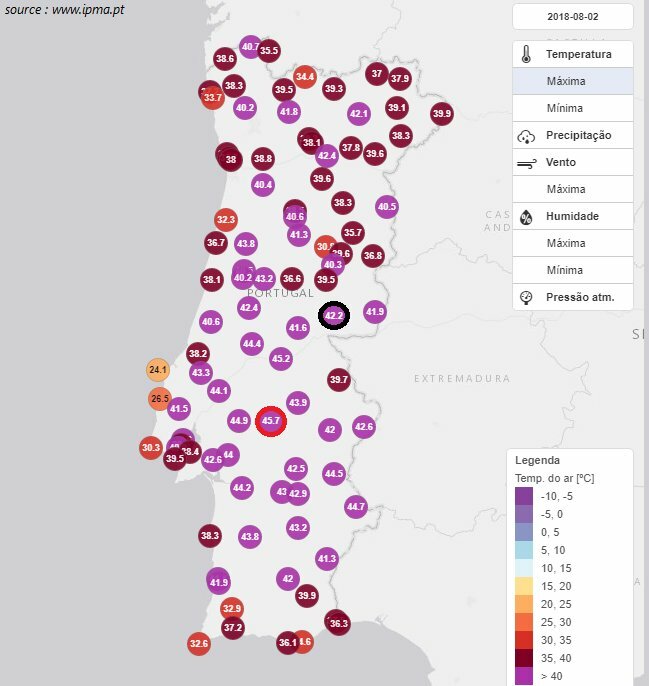 Anyway, it looks like Portugal has gotten up to 46.4C so far. [1/*] Alors que les 48°C semblent pouvoir être dépassés ces prochains jours sur la péninsule ibérique, notamment au Portugal, on entend logiquement parler de possible record absolu de chaleur européen. [1/*] while the 48 °c seems to be able to be exceeded in the next few days on the Iberian Peninsula, especially in Portugal, we logically hear about possible absolute record of European heat. 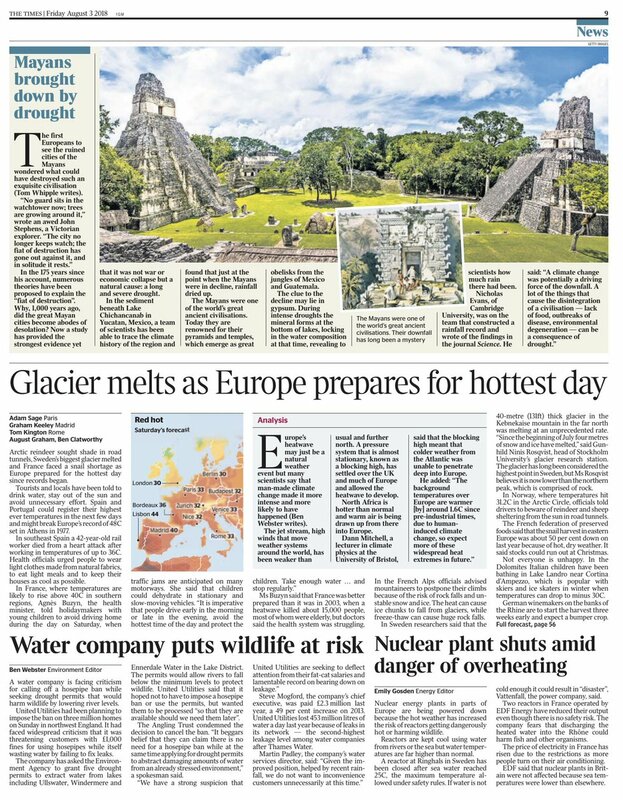 Apparently Sweden lost its high point because of the record heat sweeping across the continent melting the glacier at the top of mount Kebnekaise. PARIS/MOSCOW/HAMBURG (Reuters) – Searing heat has devastated wheat fields across northern Europe while a combination of dry conditions and extreme rain in the Black Sea have hit output estimates, with prices soaring on fears of further crop damage. “The situation is catastrophic in northern Europe,” Strategie Grains head analyst Andree Defois said on Thursday. The consultancy last week cut its forecast for this year’s soft wheat harvest in the EU, collectively the world’s largest wheat grower, below 130 million tonnes, a six-year low, and Defois said it could revise the estimate again. 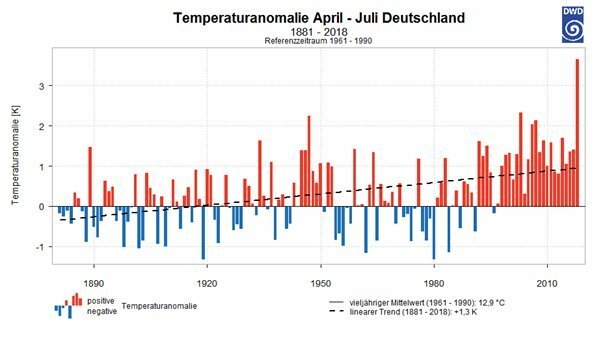 France, the EU’s top producer, has also experienced extreme weather, prompting forecasters to cut their estimates to around 34 million tonnes from 36.6 million harvested last year. I highlighted this last part because we know in history that many conflicts like the French Revolution in the 18th century and most recently the Syrian Civil War were sparked by hungry bellies. The price of wheat and other grains such as rice are another of my “canaries in the coal mine” that will let all know how serious global warming is affecting the planet’s food supply. A 20 percent increase in wheat prices probably won’t starve many people, but will put a strain on those with low food budgets…something to watch this coming fall and winter. Typical August heat below record limits will prevail over the rest of the nation on Saturday. 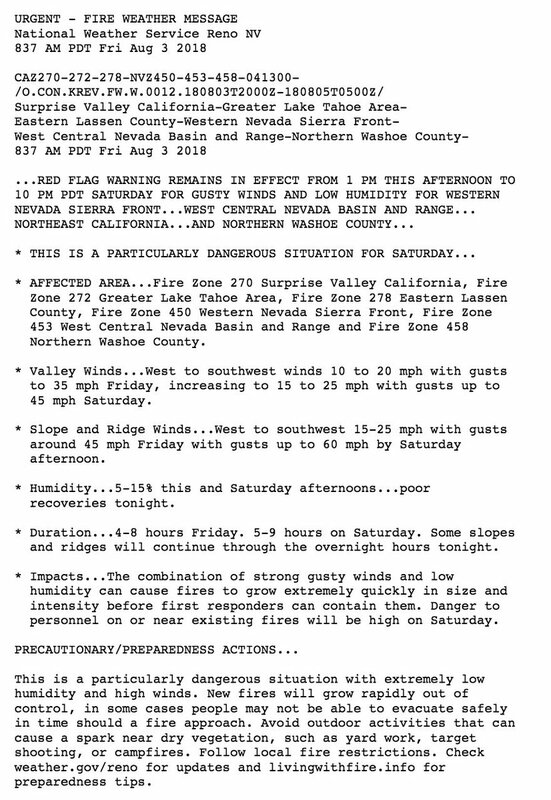 We can add this one to California’s fast-growing “bizarre weather of 2018” file. Holy cow: the sea surface at Scripps Pier near San Diego just hit its warmest temperature in 102 years of measurement (78.6*F, to be exact). Nuiqsut, with about 400 residents, sits some 250 miles north of the Arctic Circle. Fossil fuel burning has already brought climate change to its doorstep. Historians will look back at page 9 of today’s Times with great interest. 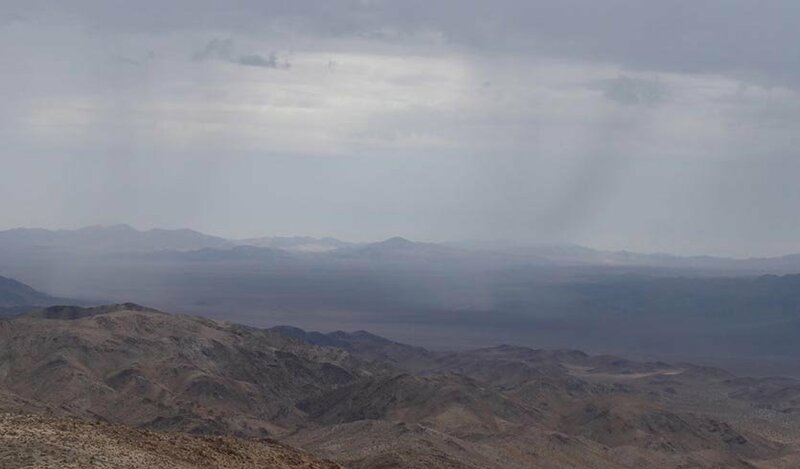 Extreme Temperature Diary- August 2, 2018/ Hot Topic: An Unihabitable Earth?